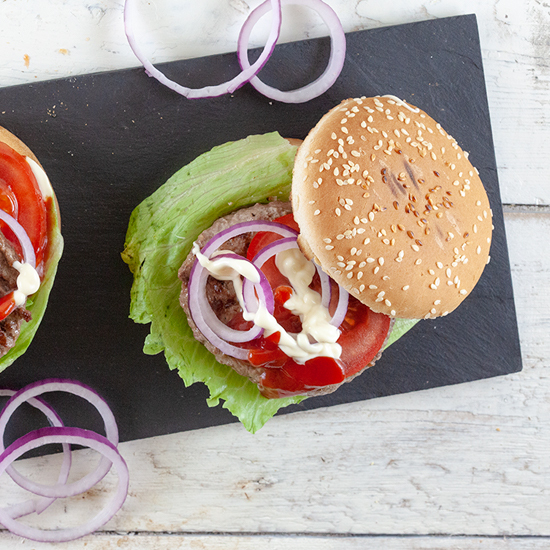 A classic hamburger is super easy, but oh so delicious! 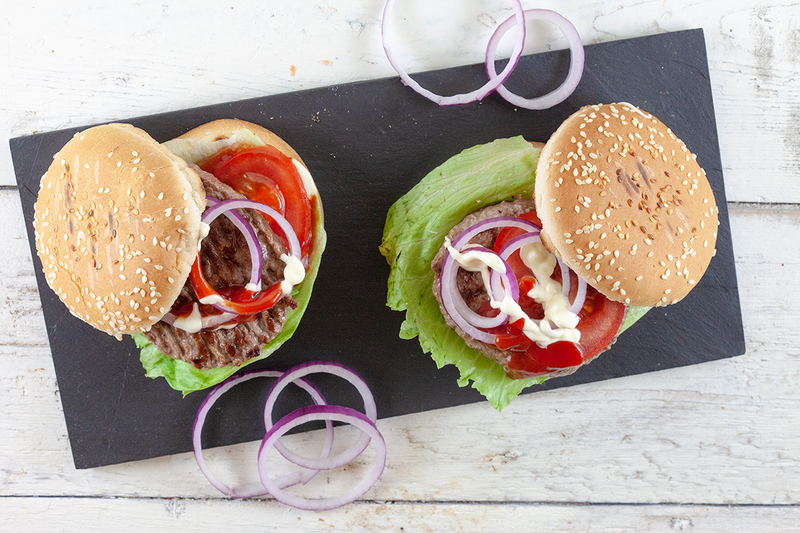 You can grill the burgers in a grill pan or on the barbecue, it's up to you! PEEL the red onion and chop into not too thick rings. RINSE the lettuce leaves if needed and use a salad spinner to get rid of any excess water. RINSE the tomatoes, remove the green parts and divide into slices. DIVIDE the buns into halves. HEAT the grill pan, or barbecue, drizzle the burgers with a bit of oil and grill the burgers for about 3 minutes on each side. 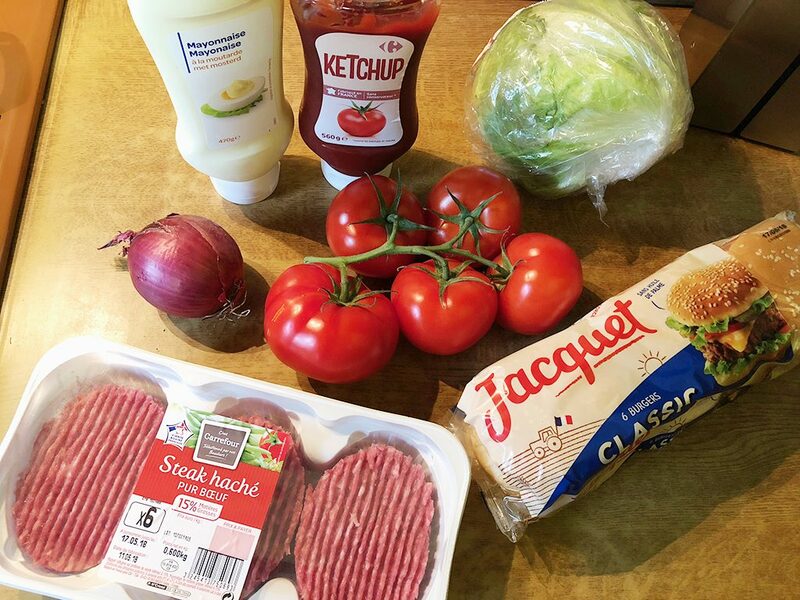 Shortly GRILL the buns if you like and divide tomatoes and lettuce over the buns. 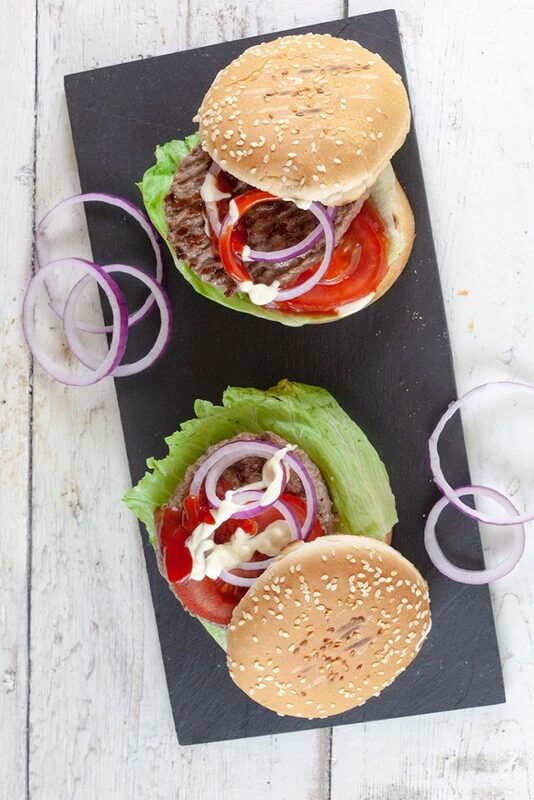 PLACE the grilled burgers on top and finish with red onion, ketchup, mayonnaise and the top of the bun. Enjoy!